Jimi Hendrix is considered as one of the most influential and celebrated musicians of the 20th century. Born in Seattle, Washington, Jimi Hendrix has been dubbed as “the greatest instrumentalist in the history of rock music” by the Rock and Roll Hall of Fame. 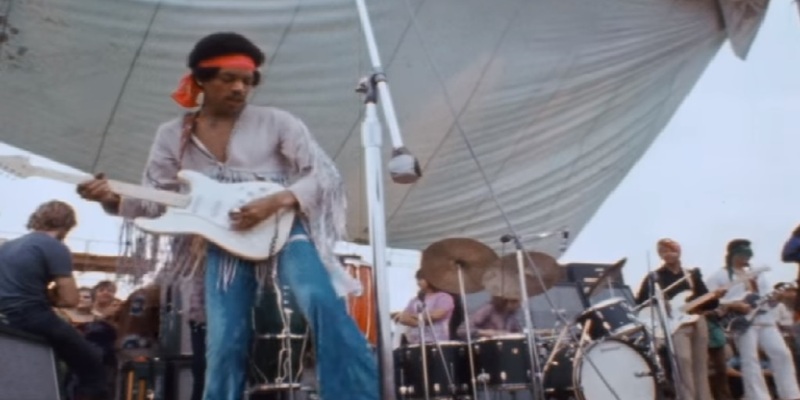 Below are some interesting facts about Jimi Hendrix fans that you want to know! Before becoming a full-time musician, Jimi enlisted himself in the Army after dropping out of High School. He was the member of 101st Airborne Division as a trainee paratrooper but was medically discharged after he broke his ankle on his twenty-sixth parachute jump. His birth name was Johnny Allen Hendrix that his father changed to James Marshall Hendrix. When he moved to London, his agent suggested him to change his name to Jimi. Hence, it became Jimi Hendrix. Jimi Hendrix was a huge fan of the Batman TV show that aired in 1966. He would often refer to the drummer as Robin. He also wore a cape while on stage that resembled the ones wore by comic book super-heroes. Jimi Hendrix with his band the Jimi Hendrix Experience recorded a jingle for BBC radio that was called Radio One Theme. 5- Purple Haze was inspired by Science Fiction In contrary to the popular belief, Jimi Hendrix’s song Purple Haze was not inspired by drugs but instead it was inspired by a science fiction story Night of Light by Phillip Jose Farmer. Jimi Hendrix ran into Jerry Lee Lewis at an airport who was considered a legend at that time. Long story short, Jimi tried to greet him but the Jerry Lee Lewis rejected to shake Jimi’s hand. Jimi learned to play the guitar by himself. Furthermore, he could not read or write music and would record his ideas on a tape. Keith Altham, a British journalist, gave Jimi the idea to burn his guitar in order to grab attention from the media. He practiced the experiment in his room with his lighter fluid and was successful on the stage. At the start of his career as a musician, he would play the guitar while hiding behind the curtains. He also said that he would notice that the other guitarists were a lot better sounding as compared to him. Eventually, he got over his stage fright. Jimi was arrested twice for riding cars as a teen, once for participating in a civil rights demonstration, and once at a Canadian airport because of the possession of hashish. Jimi Hendrix is the alleged father of a girl born in the U.S and a boy born in Swedish. While there has been no blood test to prove the legitimacy of the claims, the Swedish courts recognized the boy, James, as Jimi’s son. Joe's here. I play for 10 years now. I like to play, learn and write. I've joined this community to share my knowledge and news about the great guitar.